A programme was started in Cameroon in the early 1990s, in the northwest province and area of Kumba. Nearly 170,000 trees were planted in this region, involving sixty farmer groups. 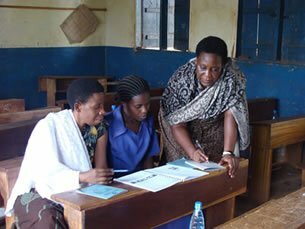 In 2008 partnering organisations increased their work throughout three provinces and farmers took part in agroforestry training. 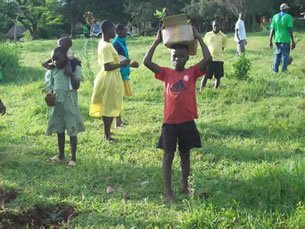 Schools, community groups and NGOs were involved in a project which saw a huge quantity of tree seeds disseminated. Over 2,000,000 trees were planted in 2008, and the number of farmers involved reached two thousand. The project extended to a School Forest Garden programme involving eight schools in the southwest. Further projects were undertaken in the western highlands region to tackle issues around watershed management. Cameroon’s 22,000,000 hectares of forest provides most of the population of the country with its livelihood. Previously Cameroon was a centre of industrial logging, resulting in the destruction of approximately eighty percent of its forests. Following numerous governmental policy reforms in the 90s Cameroon has moved away from its logging industry and towards a fairer system of sharing its natural resources. This has been a positive step for the country and its people, however, there is still much residual damage and therefore still a great deal to be done. Cameroon’s population stands at just over eighteen million, nine million of whom live in rural communities. These communities still suffer because of the country’s industrial past and up to half of Cameroon’s people live in dire poverty. Farmers, dependent on the land for their income, have often been forced out of the fertile countryside and the effects of deforestation leave them with few options. The areas of forest which remain on mountainsides are still vulnerable to erosion. Much of the habitat for native plants and animals and a great deal of biodiversity have been destroyed. In addition to this substantial harm and hardship has fallen upon Cameroon’s people. In the Western Highlands over nine hundred bird species, fifty of which are endemic to the Afromontane highlands, and fifteen of which are globally threatened, are struggling to survive. Chimpanzee, Gorilla, Drill and other endangered primates also live in the forested highlands. The programme in Cameroon will continue to focus its efforts in the Western Highlands. 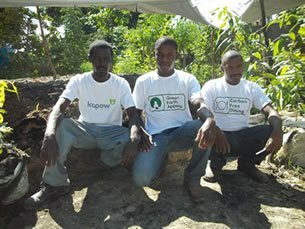 Our partner organisations are helping farmers develop more sustainable farming practices along with a greater knowledge of how to protect the land from further erosion by planting trees. The variety of tree species planted has enabled farmers to create new revenue streams, ranging from raising livestock to producing fruit and making honey. The programme has expanded to other communities and as a result over a further 2,000 people will benefit.